The Kinetoscope Company (Norman Raff, Frank Gammon, Alfred O. Tate, Thomas Lombard, Erastus Benson, and Andrew Holland) was one of three outside groups that marketed Edison's Kinetoscope and its films. The other two groups were the similarly-named Kinetoscope Exhibition Company, run by the Lathams, and Maguire & Baucus with the Continental Commerce Company. In August 1894 the Kinetoscope Company, headed by Raff and Gammon [illustrated], was granted exclusive rights for selling regular Kinetoscopes within the US and Canada, which they sold with territorial restrictions. In August/September 1894 Raff and Gammon employee Alfred Clark produced several subjects at the Black Maria studio in West Orange, including Joan of Arc and The Execution of Mary, Queen of Scots, the latter filmed outdoors and featuring a significant stop-motion substitution shot as the Queen (played by Robert Thomae, secretary and treasurer of the Kinetoscope Company) was beheaded. Black Maria subjects arranged (and paid for) by Raff and Gammon were identified by a letter 'R' to the right of the stage. By the summer of 1895, the novelty had faded and business had declined, due in part to imitation machines by Charles Chinnock. Exhibiting the Kinetoscope at the Cotton States Exposition, Raff and Gammon representative Frank Harrison saw the Jenkins / Armat Phantascope projections, and expressed interest in securing a machine. 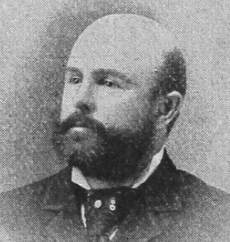 In December 1895, Gammon went to Thomas Armat's office and was given a demonstration. Impressed, Raff and Gammon approached Edison and with the falling-off of the Kinetoscope business he agreed that the Armat machine should be launched as the Edison Vitascope, the projectors and films being produced by the Edison Manufacturing Company. Concerned about Jenkins's activities and news of public screenings in Europe, they pressed ahead and in March arranged with Albert Bial of Koster and Bial's music hall, New York, to book the Vitascope - which opened on 23 April to great success. Raff and Gammon set up the Vitascope Company to sell the State rights across the USA, and even sent Charles Webster to Europe with a machine. But there were problems everywhere - with varying electrical supplies across the USA, poor films and filmstock, and lack of trained operators. The rapid pace of local openings severely strained Raff and Gammon's resources, and Norman Raff suffered a nervous breakdown. 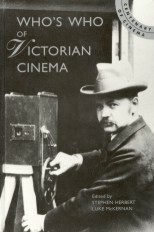 To improve the films a portable camera was constructed freeing the producers from the constraints of the Black Maria studio, and under Raff and Gammon's control, many Edison Vitascope films of American life were made 'on location', with James White as producer. Some were shot on a rooftop studio above the Vitascope Company's office at 43 West Twenty-eighth Street, New York City. By October 1896 however, the Vitascope company was failing. The Edison Manufacturing Company was dissatisfied with Raff and Gammon; only seventy-three Vitascopes had been manufactured, and with other machines coming onto the market without restrictions, additional demand was unlikey. Also, limiting film sales to Vitascope entrepreneurs reduced profits; the Edison Manufacturing Company therefore started selling films to all potential customers, and the Vitascope was soon superseded by the Edison Projecting Kinetoscope, sold without restrictions.